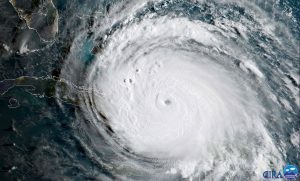 The 2017 Atlantic hurricane season was remarkable, including five landfalls of Category 5 storms in the Caribbean Basin, and three Category 4 strikes on the U.S. coastline. The 2017 landfalls cost hundreds of lives and record-breaking economic losses, exceeding $250 billion. These losses are sober reminders of hurricane vulnerability and the importance of hurricane prediction for public safety and the management of insurance and other economic risks. Hurricane forecasts have continued to improve in recent years, but they are not yet as good as they could be. Continued advances in weather and climate computer models used to make forecasts, and improved observations from satellites and aircraft are driving these improvements. Also, essential to progress are advances in understanding of weather and climate dynamics. Fred Pickhardt, Marine Meteorologist I am a marine meteorologist and sailed briefly with American Export Lines in the Far East trade. I have extensive experience in marine weather analysis, marine weather forecasting, optimum ship routing, vessel performance evaluations and forensic marine weather event reconstructions. I founded Ocean Weather Services and as Owner and Chief Consultant currently provide optimum ship routing services and forensic marine weather reports to the maritime industry. This entry was posted in Tropical Cyclones, Weather Wisdom and tagged Atlantic, Hurricane, North Atlantic, Ocean Weather, Tropical Cyclone, Weather Wisdom. Bookmark the permalink.